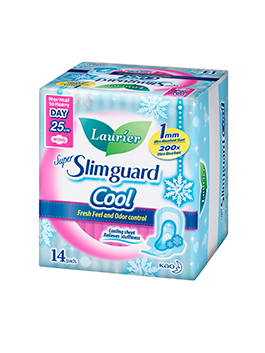 Amazingly absorbent yet comfortable and thin. 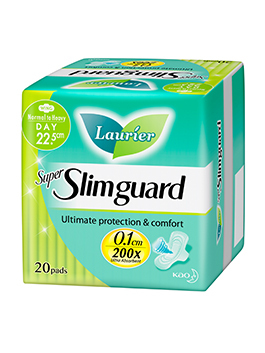 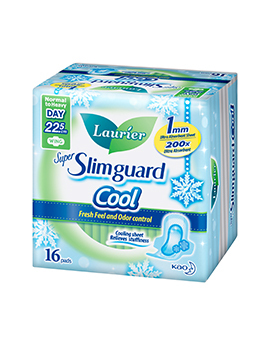 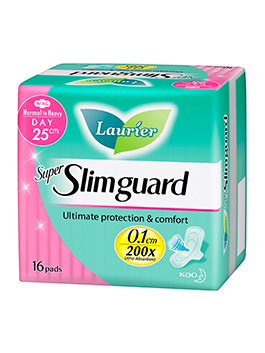 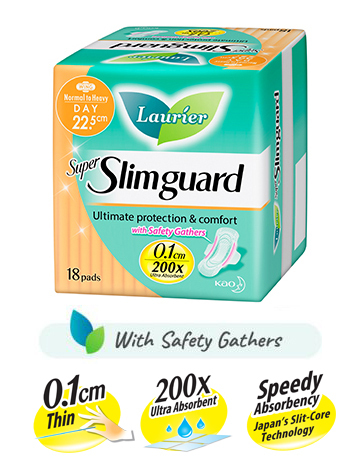 The new and improved Laurier Super Slimguard has exceptional absorbency, comfort and protection, all with 1mm ultra thinness. 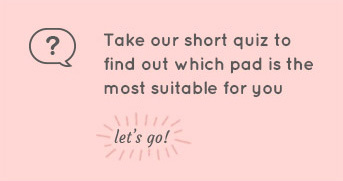 You are now free to pursue the activities you love and enjoy a good night’s sleep even during heavy flow days! 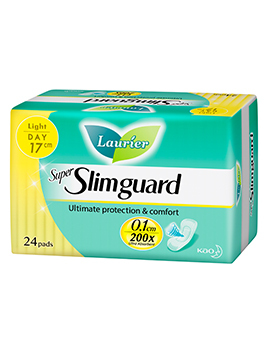 Laurier Super Slimguard, confidence round the clock.